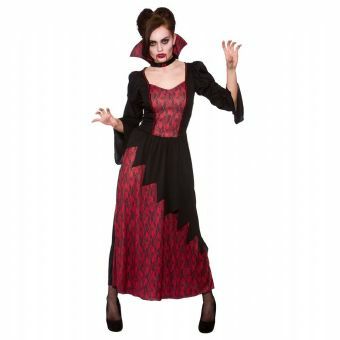 Includes a black dress with red lace print insert and matching collar. Jabtek Fancy Dress, stocks one of largest range of nativity, halloween and other seasonal costumes for all ages in the UK. Specialising in large collections for school plays, purchase orders are accepted from local education authorities. This is our new website, we will be continually updating our range of costumes for availability to you. Happy Shopping! © Copyright 2013 Jabtek All rights reserved.